Grand Canyon MapINFO: Grand Canyon is a well known steep-sided canyon carved by the Colorado River located in the United States and the state of Arizona. 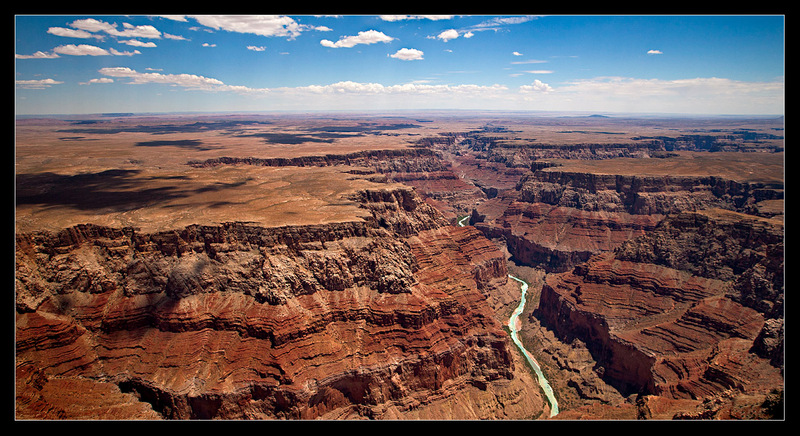 The Grand Canyon is 446 km or 277 miles long, up to 29 km or 18 miles wide and attains a depth of over a mile (1.83 km) (6000 feet). It is a wast area and the easiest way to get a really good overview is to charter a helicopter and fly over the entire region. STORY: We checked out early in the morning from our hotel in Tuba city. We had planned to drive towards Flagstaff and visit “Sunset Crater” and “Wupatki National Monument” and later continue on to Grand Canyon. After we finished our visit in previous mentioned parks we took a short break in Flagstaff for a lunch. Later out trip continued by entering U.S Highway 40 and then we turned right on 64 and continued all the way to Tusayan. We spent some time to find a hotel, and to visit the park entrance in order to buy our entrance ticket for the next morning. We also visited the helicopter company which we had booked before hand and got some information in order to prepare us for our guided flight the next day in the park area. Our guided helicopter adventure was set to start at 11:00 AM which gave us some extra time to visit the park before this in order to take some shots from the ground. It was a nice weather with a clear blue sky and a pleasant temperature. It was a really nice experience to stay at the edge of the canyon and observe the surrounding in the morning light. I saw a few birds and a squirrel jumping around looking for food and this enriched my experience even further. We visited a few view points and then it was time to leave the park and head for the local airport. The airport was located just outside Tusayan and very easy to see from the main road (u.s 64). After a short briefing at the main building we where ready for start. A group of pilots arrived and started to collect the passengers who had been assigned to fly with them. We shared our ride with three other persons and when the pilot had explained the rules for how to act inside the cabin, we where ready to enter the vehicle. 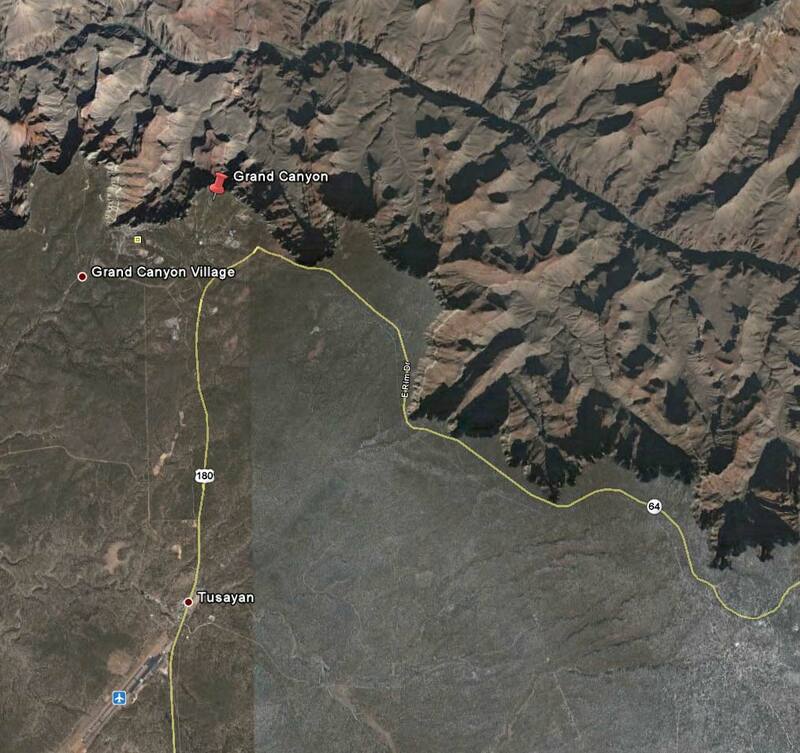 During the flight the pilot explained everything about the canyons history and answered all our questions. I was sitting on the right side and had a nice free view through the panoramic window. I took plenty of shots using both my camera house’s with different lenses on. Our flight lasted around 45 minutes and it was really interesting and it covered both the north and south rim of the canyon. The whole flight was safe and comfortable without any kind of problems. I will post a few shots taken both from the air and from the ground. All writing and photographs on RALFSWORLD.COM are copyrighted by Ralf Lukovic, whose permission is required for any usage.